When I touched this rather listless larva (I think it's about to pupate), it glowed brightly from what looked like its hindmost segment. I jostled the pupa in this view to see if it would glow as well, but I drew no such response. 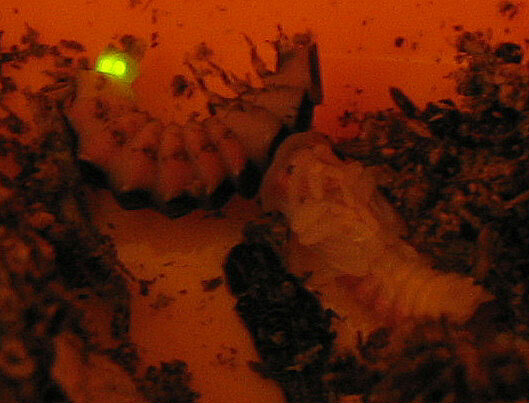 I never knew the larvae lit up! I have seen a bunch of larvae but I have only seen adults actually light up.